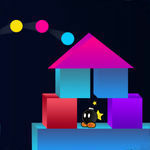 Shoot Tower — Block balls fire - iOS app Sold on Flippa: Angry Bird Theme, $300+ Revenue in 2 Weeks. HUGE POTENTIAL! Angry Bird Theme, $300+ Revenue in 2 Weeks. HUGE POTENTIAL! A super addicting game so we made from scratch. In-app purchases, Admob & Unity Video ads let you make great revenue. HUGE POTENTIAL!